Iraq’s Shi’a are mobilizing against the Islamic State of Iraq and al-Sham (ISIS). In addition to fears of ISIS advances towards Baghdad, the Iraqi Shi’a threat perception is magnified by their desire to prevent an ISIS attack on the al-Askari shrine in Samarra. The February 2006 attack on the shrine triggered Iraq’s civil war during which Iraqi Shi’a militias targeted and killed thousands of Iraqis-primarily Iraqi Sunnis-in retaliatory attacks. The protection of the al-Askari shrine is an existential priority for the Iraqi Shi’a and Iran. Protecting the Sayyida Zainab Shrine in Damascus has likewise been a focal point of Iraqi militia mobilization. The concept of shrine protection by the Iraqi Shi’a further solidifies the merger of the conflicts in Iraq and Syria. The Iraqi Shi’a had shown restraint in response to ISIS attacks prior to the Iraqi elections in April 2014. However, the ISIS threat to the shrine will unravel that restraint and trigger retaliatory attacks against the Iraqi Sunnis. Destruction of any of these shrines would bring on full scale ethno-sectarian civil war with violence meeting or surpassing 2006 levels. Shi’a militia groups such as Badr, the Sadrist Promised Day Brigade, and Asai’b Ahl al-Haq had already mobilized for the 2014 Iraq elections. Prime Minister Maliki has been incorporating Shi’a militias into the Iraqi Security Forces since August 2013. Maliki has been recruiting tribal members into protection forces since 2013 and has an administrative mechanism and recruiting centers to do so. Shi’a militia groups had a mobilization effort underway for deployments to Syria. Commanders of those militias are now returningto Iraq. Iraq has demonstrated its capability to move units around the battlefield since January, even though these redeployments have been a sign of the ISF’s weakness. Grand Ayatollah Ali al-Sistani, Iraq’s preeminent Shi’a religious figure called on Iraqis to “volunteer” in part to protect such shrines. The Islamic Revolutionary Guard Corps (IRGC) – Quds Force has freedom of movement in Iraq in 2014 without American troops there. 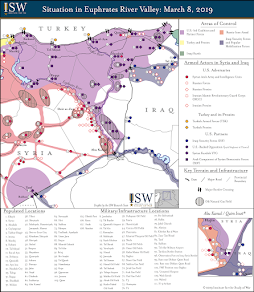 The Quds Force also has developed capacity to integrate units from the “Axis of Resistance,” as it calls its alliance with Hezbollah, Iraqi militias, and the various elements fighting for the Syrian Regime, and regular Iranian formations functioning as embedded advisory teams. Reports surfacedon June 14 that IRGC member, Ali Ridha Mashjari, was killedin ‘defense of Karbala.’ This reference is to Karbala in Iraq where there are two major shrines and therefore suggests that Mashjari was killed in Iraq. These Shi’a groups together are orchestrating a counter-offensive with a rapidity and in numbers that have likely surprised the Islamic State of Iraq and al-Sham, which has hitherto not generated the degree of Shi’a mobilization it has sought from its spectacular attacks on Shi’a civilian targets. 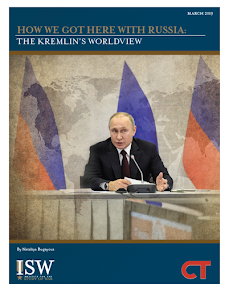 This report will describe the initial outlines of the counteroffensive and its leaders. Prime Minister Nouri al-Maliki visitedSamarra and thereby signaled to the Iraqi Shi’a that protecting Samarrais a priority for the Iraqi government forces. He met with local security officials to study “the plans to retake the city of Tikrit.” Tikrit fell to the Islamic State of Iraq and al-Sham (ISIS) and Jaysh Rijal al-Tariqah al-Naqshabandia (JRTN) on June 11. Maliki’s visit was confirmedby Salah ad-Din governor, Ahmed Abdullah al-Juburi. Reports also indicate that security forces composedof army and police headed to Samarra. This ISF element reinforces an additional 1000 volunteers, likely a security contingent from Wasit knownas the “Wasit Volcano” battalion, who arrived on June 12. According to Wasit police sources, the battalion already engaged ISIS in a firefight killing 13 ISIS elements. ISIS has responded by attacking the convoy of the supervisorof the Samarra shrine. Maliki’s visit is an indicator of his strategy. This is his first visit outside of Baghdad since the fall of Mosul and more Iraqi Security Forces (ISF) members, volunteers, Iraqi Shi’a militia members will be sent to shrine. Ameri will have the responsibility of coordinating with the ISF and the Iraqi Kurdish Peshmerga who are deployed in the areas of Jalawla and Saadia. According to unnamed Iraqi government officials, 500 Iranian Revolutionary Guards Corps (IRGC) members had recently deployedto Diyala. That statement, however, was denied by the Iranian Foreign Ministry. Visual evidence has yet to surface to prove the presence of IRGC members in Diyala. Nonetheless, it is likely that Ameri will coordinate with the Iranian government and its security services because of Diyala’s shared border with Iran and Ameri’s close ties with the Iranian government. In a significant development, Grand Ayatollah Ali al-Sistani, Iraq’s preeminent Shi’a religious figure calledon Iraqis to volunteer as the Islamic State in Iraq and al-Sham increases its operations and expresses its intent to attack the al-Askari Shrine in Samarra and Baghdad. Sistani did not make the statement himself, but the stance was conveyed by his representative in Karbala, Abdu al-Mahdi al-Karbalai. Traditionally, Sistani makes his official positions known through these channels. During his June 13 Friday sermon, Karbalai stated that “the threats posed obligate the volunteering of those who are capable of carrying arms to defend the homeland and it is a duty on [them].” Karbalai also expressed support to the Iraqi Security Forces and given Sistani’s normal nationalistic stance, Karbalai ensured that the statement did not only focus on the Iraqi Shi’a, but that it is rather a “responsibility” for all Iraqis. Ayatollah Bashir al-Najafi, another member of Iraq’s clerical establishment, also issueda statement calling on Iraqis to join the ISF. The calls from Sistani and Najafi are an expression of grave concern by the Shi’a religious authorities with regards to ISIS and its increased threat. However, these are also calls for Iraqi Shi’a unity. The Iraqi Shi’a see ISIS as an existential threat. The calls will result in increased rates of recruitment. Sistani’s calls for Shi’a unity will also have ramifications in the political sphere. Opportunities to split other Shi’a groups from withdrawing their support from Maliki and forcing him to step down have diminished in the short term, as Amar al-Hakim, Hadi al-Ameri, and Moqtada Sadr have rallied to the cause. These groups may gain leverage over Maliki as a result of their participation, but it is likely that a united Shi’a front loyal to Iran emerges from these conditions if the government survives. In response to the collapse of the Iraqi Security Forces in Mosul, Kirkuk, and Salah ad-Din, the Iraqi government started recruitment drives in Baghdad and Iraq’s predominately Iraqi Shi’a provinces. Prime Minister Nouri Al Maliki announcedhis plans to liberateSalah ad-Din and Nineveh provinces and areas near Samarra city in a military operation using an army of civilians. The number of volunteers in the civilian security forces increased since the Grand Ayatollah al-Sistani, called for civilians to volunteer. The provincial recruitment is underway in most Shi’a provinces and Baghdad. In Baghdad, recruitmentis underway at the Muthana airport with thousands reportedly lined up to register. Karbala’s police directorate announcedthat it will open the doors to civilian recruitments on June 14 indicating that it will only accept 700 volunteers. Notably, a Karbala police official stated that volunteers have to own their own weapon in order to be recruited, likely because of a shortage of weapons for the ISF. A new recruitment center is planned to accept volunteers. Governor of the predominantly Shi’a province of Dhi Qar, Mohammed al-Nasri, called for volunteers to form a 700-strong local police battalion. Nasri noted that volunteer registration will last for a week. This timeline suggests that these individuals will be part of a police force while the 10th Iraqi Army (IA) division redeploys for operations in northern and western Iraq. In Basra, local security authorities announced that a new 13,000-strong local force will be in charge of providing local security after the deployment of the Basra-based 14th Iraqi Army Division and a border guards battalion to the “hot areas.” This is a reference to northern and western Iraq. The number 13,000 is likely exaggerated since it would be hard to assemble that amount in Basra but nevertheless follows the pattern of the other predominantly Shi’a provinces in its active recruitment. 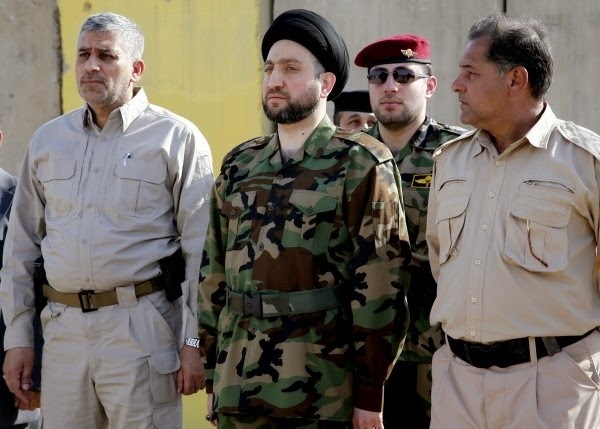 The Islamic Supreme Council of Iraq (ISCI) also formed its volunteer force and its leader Ammar al-Hakim visited a training location wearing a military uniform. For his part, Prime Minister Nouri al-Maliki directed national security authorities to grant volunteers permanent status within the Iraqi Security Forces. On June 14, Moqtada al-Sadr, the leader of the Sadrist Trend, ordered his supporters in all provinces to organize military parades. This mobilization by Sadr will very likely include members of the Promised Day Brigade, formerly known as the Mahdi Army. Since the fall of Mosul, Sadr has intensified the mobilization of his movement in order to bolster the solidarity of the Iraqi Shi’a community and also to outpace the mobilization of rival Shi’a militia Asaib Ahl al-Haq. On June 11, Sadr had called for the formationof the “Peace Brigades” to defend the shrines. Asaib Ahl al-Haq, the Iranian-backed Shi’a militia that trained under Hezbollah to fight Americans in Iraq, has been resurgent in Baghdad since May 2013. It has also participated in the conflict in Syria. Its organized troopshave been fighting in southern Salah ah-Din province around the Samarra area since the fall of Mosul, and clashed with ISIS along the Hamrin Ridge in Diyala. Iraqi Shi’a militias deployed to Syriahave also returned with their commanders to join the fight in Iraq, formed into a brigade. The Iraqi Shi’a are not waiting for the ISIS threat to develop further nor are they waiting for the national government to organize a coherent defense against the ISIS threat. They are actively seeking to provide protection for themselves, their shrines, and predominantly Iraqi Shi’a areas. Violence perpetrated by Iraqi Shi’a militias will increase if shrines are attacked. Reports of possible Iranian soldiers on Iraqi territory are very concerning, particularly as the Iraqi Shi’a begin to see the ISIS threat as existential. When viewed through this lens, help from fellow Shi’a – in both material and manpower forms – could be easily justified as not only permissible, but necessary in the eyes of Iraqi Shi’a. Therefore, there is currently a coordinated ISF, Iraqi Shi’a militia, and Iranian effort. The Badr organization and Iranian main effort is concentrated in Diyala. The counter-offensive will likely focus on the areas of Tikrit and Samarra, with additional Shi’a militias concentrating on Baghdad and holy shrines. Grand Ayatollah Sistani’s declaration to fight against ISIS has numerous ramifications for Iraqi politics by cementing the unity of the Iraqi Shi’a political and militia leaders at a time when their support might have fractured. It is likelier now than immediately after the fall of Mosul that a Shi’a unity government more dependent on Iran will emerge in Baghdad if the ISIS crisis is averted. Ahmed Ali is Senior Analyst and Iraq Team Lead at the Institute for the Study of War. Kimberly Kagan is the president of the Institute for the Study of War.